Pooled multivariate relative risks (RRs) of ischemic stroke with 95% confidence intervals (CIs) for men and women for increasing intake of total fruits and vegetables. Data are for men and women combined, controlled for the same factors as in Table 2, with none to less than 3 servings per day as the comparison group. Willett WC. Nutritional Epidemiology. New York, NY: Oxford University Press; 1990. Committee on Diet and Health. Diet and Health: Implications for Reducing Chronic Disease Risk. Washington DC: National Academy Press; 1989. Report on WHO Study Group. Diet, Nutrition and the Prevention of Chronic Diseases. Geneva, Switzerland: World Health Organization; 1990. Technical Report Series 797. Context Few studies have evaluated the relationship between fruit and vegetable intake and cardiovascular disease. Objective To examine the associations between fruit and vegetable intake and ischemic stroke. Design, Setting, and Subjects Prospective cohort studies, including 75,596 women aged 34 to 59 years in the Nurses' Health Study with 14 years of follow-up (1980-1994), and 38,683 men aged 40 to 75 years in the Health Professionals' Follow-up Study with 8 years of follow-up (1986-1994). All individuals were free of cardiovascular disease, cancer, and diabetes at baseline. Main Outcome Measure Incidence of ischemic stroke by quintile of fruit and vegetable intake. Results A total of 366 women and 204 men had an ischemic stroke. After controlling for standard cardiovascular risk factors, persons in the highest quintile of fruit and vegetable intake (median of 5.1 servings per day among men and 5.8 servings per day among women) had a relative risk (RR) of 0.69 (95% confidence interval [CI], 0.52-0.92) compared with those in the lowest quintile. An increment of 1 serving per day of fruits or vegetables was associated with a 6% lower risk of ischemic stroke (RR, 0.94; 95% CI, 0.90-0.99; P=.01, test for trend). Cruciferous vegetables (RR, 0.68 for an increment of 1 serving per day; 95% CI, 0.49-0.94), green leafy vegetables (RR, 0.79; 95% CI, 0.62-0.99), citrus fruit including juice (RR, 0.81; 95% CI, 0.68-0.96), and citrus fruit juice (RR, 0.75; 95% CI, 0.61-0.93) contributed most to the apparent protective effect of total fruits and vegetables. Legumes or potatoes were not associated with lower ischemic stroke risk. The multivariate pooled RR for total stroke was 0.96 (95% CI, 0.93-1.00) for each increment of 2 servings per day. Conclusions These data support a protective relationship between consumption of fruit and vegetables—particularly cruciferous and green leafy vegetables and citrus fruit and juice—and ischemic stroke risk. In several articles, nutrients in fruit and vegetables such as dietary fiber, potassium, and antioxidants have been associated with reduced risk of cardiovascular disease (CVD).1-5 However, the data directly relating fruit and vegetable intake and CVD are sparse, as summarized in a recent review,6 and the results of studies that specifically examined fruit and vegetables as a group were inconsistent.6 Furthermore, many studies were small with few end points, dietary assessments were often crude and available only at baseline, and the distinction was often not made between hemorrhagic and ischemic strokes, which have different causes. To understand better the relationship between diet and stroke, we examined intakes of specific fruits and vegetables, as well as overall fruit and vegetable consumption, in relation to the incidence of ischemic stroke in 2 large cohorts of women and men. Data for this analysis were derived from 2 ongoing cohorts, the Nurses' Health Study (NHS)7 and the Health Professionals' Follow-up Study (HPFS).1 The 2 studies are similar in design; participants in both cohorts have been completing mailed questionnaires every 2 years to provide information on medical history, health behaviors, and the occurrence of cardiovascular and other outcomes. The NHS enrolled 121,700 female registered nurses aged 30 to 55 years in 1976. The HPFS study population is composed of 51,529 male health professionals including dentists, veterinarians, pharmacists, optometrists, osteopathic physicians, and podiatrists who were 40 to 75 years of age in 1986. After 4 mailings, 98,462 women returned the 1980 NHS dietary questionnaire. We excluded those with 10 or more items blank, those with implausible scores for total food intake (<2092 kJ/d or >14,644 kJ/d) (n=5994), and those with previously diagnosed cancer, diabetes, or CVDs (n=7254). Among the men, we excluded 6442 participants who reported CVD, cancer, or diabetes prior to the follow-up period. We further excluded 1349 men who reported daily energy intake outside the plausible range of 3360 to 17,640 kJ/d or who left 70 or more of the 131 dietary questions blank. More than 90% of the baseline population, on average, responded to at least 1 follow-up questionnaire, and about 80% completed each of the repeated dietary questionnaires during follow-up in these cohorts. The total number of subjects included in this analysis were 75,596 women and 38,683 men (Table 1). Participants (or next of kin for the deceased) reporting an incident stroke on a follow-up questionnaire were asked permission to have their medical records reviewed. Using these records, including imaging results recommended by the National Survey of Stroke,8 we subclassified the strokes into ischemic (embolic or thrombotic), hemorrhagic (subarachnoid or intracerebral), or unknown type. 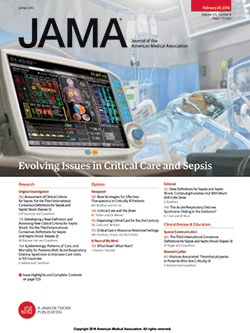 Cases attributed to infections or malignant processes or cases of indeterminate age discovered on computed tomographic or magnetic resonancing imaging scans without acute symptoms were not included. Physicians reviewing the medical records were unaware of the participants' dietary status. Deaths were reported by next of kin or coworkers or were obtained from postal authorities or from the National Death Index. Only strokes confirmed by medical records were included in this analysis. We considered nonresponders who were not listed on the National Death Index as noncases. On dietary questionnaires, participants reported their average intake of a specified portion size for each food over the past year. For each food item on the questionnaire, 9 responses were possible, ranging from never or less than once per month to 6 or more times per day. Detailed descriptions of the reproducibility and validity of the FFQ for both men and women have been published previously.9-11 Validity of the dietary data has been documented by comparisons with multiple weighted dietary records correcting for within-person weekly variation in diet. The correlation coefficients for responses to the 61-item questionnaire in the NHS for fruits and vegetables compared with four 1-week diet records averaged 0.57 (ranging from 0.27-0.93). In the HPFS, Pearson correlations between intake from the questionnaire and the diet records, corrected for within-person weekly variation in diet record, were on average approximately 0.7 for intake of individual fruits and 0.5 for intake of individual vegetables. Responses to the individual food items were converted to average daily intake of each fruit and vegetable item for each participant. The average daily intakes of individual food items were combined to compute total fruit and vegetable intake, as well as intakes of composite fruit and vegetable groups. The definitions of composite groups were based on a report by Steinmetz et al12; the groups were modified to relate to our questionnaires and hypothesis (available on request from the authors). Vitamin C–rich fruits and vegetables included items containing more than 30 mg of vitamin C per serving. For total vegetable intake, we did not include potatoes, tofu and soybeans, dried beans and lentils, or items with small portion sizes such as chili sauce and garlic. Missing individual components were counted as zero intake when aggregating items to compute the composite items. We recorded 670 total strokes among women: 366 new cases of ischemic stroke, 198 new cases of hemorrhagic stroke, and 106 of unknown type. There were 317 total strokes among men: 204 ischemic, 64 hemorrhagic, and 49 of unknown type. Due to the relatively small number of cases of hemorrhagic stroke to date and the differences in cause between ischemic and hemorrhagic stroke, this article focuses only on ischemic stroke. Person-time for each participant was calculated from the date of return of the 1980 questionnaire (in the NHS) or the 1986 questionnaire (in the HPFS) to the earlier of the date of first stroke event, death, or the cutoff date (June 1, 1994, for the NHS, and January 31, 1994, for the HPFS). Participants who reported CVD or cancer or diabetes prior to completion of the baseline dietary questionnaires were excluded. Each participant thus contributed only 1 end point, and the cohort at risk for each follow-up period included only those who remained free from stroke at the beginning of each 2-year follow-up period. Because of the long follow-up period, exposures and confounders were updated to better represent long-term dietary patterns.17 In the NHS we used the 1980, 1984, 1986, and 1990 questionnaires, and in the HPFS we used the 1986 and 1990 questionnaires. We computed fruit and vegetable intake for each follow-up period as a cumulative average of intake from all available FFQs up to the start of the 2-year follow-up period in which events were reported. Since intermediate end points may influence diet, in cases in which the participant experienced angina, coronary artery bypass grafting or angioplasty, hypercholesterolemia, hypertension, or diabetes, we stopped updating diet at the beginning of the interval in which they experienced the outcome. The average daily intake for each composite item was coded into quintiles of intake within each cohort. Each quintile of intake was compared with the lowest quintile of intake. Trends in stroke risk across individual fruits and vegetables and composite items were assessed in logistic models by using a variable for the average number of servings consumed per day. To assess the trend for composite items, we used the median values of intake for each quintile of the composite item to minimize the influence of outliers. The RR for the continuous measures, for both the individual and composite items, indicates the increase or decrease in risk associated with an average increment of 1 serving per day of the standard portion size defined in the questionnaires. Because a protective effect of fruits and vegetables could be explained by their vitamin content, we also evaluated associations between fruit and vegetables and ischemic stroke separately among multivitamin supplement users and nonusers. Nonusers of multivitamins who took other vitamin supplements at baseline were excluded from these subgroup analyses. Nonusers from the HPFS who took mineral supplements at baseline were also excluded from the subgroup analyses; data on mineral supplements were not available in the NHS in 1980. We also performed the analyses separately for current smokers and for never or past smokers to determine if smoking influenced the association between intake of fruits and vegetables and ischemic stroke. For the primary analyses, the RR from the (pooled) logistic regression pooling across 2-year time periods from the 2 cohorts were further combined using the pooling methods proposed by DerSimonian and Laird18 that weighted the RR in each cohort by the inverse of the SEs. Finally, we examined the adjusted RR for total stroke, using methods similar to those used for ischemic stroke. Table 1 shows the distribution of the baseline standard cardiovascular risk factors by quintiles of baseline fruit and vegetable intake from the NHS and the HPFS (quintile 5 being the highest intake group). Persons who consumed more fruit and vegetables were older and generally had healthier lifestyles as indicated by lower rates of smoking and higher levels of physical activity. Similar trends were seen with other behavioral variables. Smoking and exercise were more strongly related to fruit intake compared with vegetables. Intakes of protein, cereal fiber, transfatty acids, saturated fat, polyunsaturated fat, and cholesterol increased with increasing fruit and vegetable intake. Median intakes of total fruits and vegetables in 1986 were 5.8 servings per day for women (2.9 and 10.2 for quintiles 1 and 5, respectively) and 5.1 servings per day for men (2.6 and 9.2 for quintiles 1 and 5, respectively) (Table 2). Results from both studies individually, as well as pooled analyses for composite fruit and vegetable items, are presented in Table 2. Overall fruit and vegetable intake was inversely related to risk of ischemic stroke after adjusting for potential confounders. Those in the top quintile of intake had an RR of 0.69 (95% CI, 0.52-0.92) compared with those in the lowest quintile; the corresponding RR was 0.74 (95% CI, 0.52-1.05) among women and 0.61 (95% CI, 0.37-1.00) among men. Assessed as a continuous trend, an increment of 1 serving per day was associated with a 7% lower risk among women and a 4% lower risk among men; for the combined population there was a 6% lower risk of ischemic stroke (P=.01, test for trend). Similar results were seen for total fruit and for total vegetables separately. Additional control for intakes of transfatty acids, saturated fat, polyunsaturated fat, or cholesterol did not appreciably alter the results. All the composite items except legumes and potatoes were inversely associated with risk of ischemic stroke. The lowest risks were observed for high consumption of cruciferous vegetables (eg, broccoli, cabbage, cauliflower, brussel sprouts), green leafy vegetables, citrus fruits, and vitamin C–rich fruit and vegetables. The results were similar across both cohorts, especially the measures of trend. Again, additional analyses incorporating nutrients that may be potential confounders including protein, cereal fiber, saturated fat, transfatty acids, polyunsaturated fat and cholesterol intake, or meat intake did not change the results. For example, when meat intake was added to the model, the RR for a 1 serving per day increment of total fruits and vegetables changed from 0.94 (95% CI, 0.90-0.99) to 0.95 (95% CI, 0.90-0.99); addition of transfatty acid quintiles resulted in an RR of 0.94 (95% CI, 0.90-1.0). When we examined total stroke as the outcome, an increment of 1 serving per day of total fruits and vegetables was associated with a 3% lower risk among women and a 5% lower risk among men; the multivariate pooled RR was 0.96 (95% CI, 0.93-1.00). Results for specific fruits and vegetables were in the same direction as for ischemic stroke or null. Figure 1 shows the multivariate RRs and 95% CIs for ischemic stroke computed for increasing servings per day of intake of fruit and vegetables (pooled for the NHS and the HPFS), suggesting a decreasing risk of ischemic stroke with increasing intake. There was no apparent further reduction in risk beyond 6 servings per day. Supplement users consumed more fruit and vegetables than nonusers (6.08 servings per day vs 5.64 servings per day among women and 5.40 servings per day vs 4.94 servings per day among men). Similarly, nonsmokers consumed more fruit and vegetables than current smokers (6.00 servings per day vs 5.10 servings per day among women and 5.21 servings per day vs 4.21 servings per day among men). Pooled RRs for an increment of 1 serving per day (linear trend) by multivitamin supplement use or nonuse and by smoking status are presented in Table 3. The inverse associations between consumption of fruits, citrus fruit, and cruciferous vegetables and risk of ischemic stroke were somewhat stronger in the nonsupplement group compared with the supplement user group. Although the associations were somewhat weaker and not statistically significant among multiple vitamin users, the number of cases was smaller and the CIs included substantial reductions in risk. No striking differences in associations were seen by smoking status, although the apparent protective effects appeared to be slightly stronger among current smokers than among past and never smokers. The CIs indicate that interactions between intake of fruit and vegetables and smoking (or supplement use) or ischemic stroke are not significant. Analyses of individual fruit and vegetable items that constituted the composite items did not show any single fruit or vegetable that was strikingly more protective than others. Most items showed null or inverse associations. In general, the findings were consistent with what may be expected from the composite analyses (data not shown). Overall, these findings support a protective effect between consumption of fruits and vegetables against risk of ischemic stroke in both women and men. Fruit and vegetables—in particular cruciferous and green leafy vegetables, citrus fruits, and citrus fruit juices—were inversely associated with risk of ischemic stroke in both cohorts. Fruit and vegetable intake was associated with behavioral risk factors such as smoking and exercise. However, adjustment for behavioral and other risk factors, including nutrients that were suspected to be confounders, did not explain the apparent benefits of higher fruit and vegetable consumption, although adjustments for these factors did attenuate the observed associations. These cohorts of health professionals tended to have healthier lifestyles than the general population; for example, the median intake of fruit and vegetables in these cohorts was over the recommended 5 servings per day.19,20 The existence of a dose-response relationship within these groups, which are relatively homogenous in occupation and education, is particularly notable, as confounding by variables related to socioeconomic status is minimized. We found that intake beyond 6 servings per day provided little further reduction in risk of ischemic stroke compared with intake of 5 to 6 servings per day. These findings lend support to the recommendation of eating 5 servings per day of fruit and vegetables. For specific fruits and vegetables, the RRs for an increment of 1 serving per day should be interpreted in light of the consumption level. For example, the intake of legumes was very low, with only 0.5 servings per day as the median intake in the highest quintile (Table 2 and Table 3); hence, our ability to study the effect of higher consumption was limited. Our results are similar to a study of 832 men from the Framingham cohort. The RR of 0.94 in our study for an increment of 1 serving per day translates to a decremental risk of 0.83 for 3 servings per day, which is reasonably comparable with the RR of 0.75 for ischemic stroke (95% CI, 0.55-1.03) for an increment of 3 servings per day of fruit and vegetables (including potatoes)21 in the Framingham study. No association between green and yellow vegetables and total stroke was observed among a 16-year follow-up of 265,118 Japanese people,22 but the study reported on total strokes and the majority of strokes in Japan at that time were likely to be hemorrhagic. In a 5-year follow-up23 of 1299 Massachusetts nursing home residents, the RR for stroke was 0.40 for carrots (95% CI, 0.17-0.98) and 0.49 for salads (95% CI, 0.31-0.71), comparing 1 or more vs less than 1 serving per day, which is stronger than comparable associations in our study. The constituents of fruits and vegetables potentially responsible for their apparent beneficial effects on risk of ischemic stroke include potassium, folate, and fiber; the associations between ischemic stroke and these nutrients have been evaluated in other reports.23-27 Dietary flavonoids (which are present in fruits and vegetables) have also been recently related to decreased risk of ischemic stroke.28 There is little evidence relating dietary fiber to stroke. The evidence for potassium is limited and most studies were based on a 24-hour recall, which may not be able to adjust for other foods and nutrients that could explain the inverse associations reported.4,24 However, in a recent report based on the same cohort of men included in these analyses,25 a significant inverse association was seen (multivariate RR, 0.62; 95% CI, 0.43-0.88 comparing the top and bottom quintile of potassium intake). The evidence for folate is largely indirect through its effect on homocysteine,26 although in the Framingham Heart Study, an association was observed between low serum concentrations and low intakes of folate and increased risk of extracranial carotid artery stenosis.27 Hence, the evidence for a protective role of any single constituent of fruits and vegetables is suggestive but inconclusive, and it is important to consider the role of fruits and vegetables foods in themselves. Slightly stronger protective associations were seen in the nonusers of supplements, suggesting that constituents of multi-vitamins may contribute to the apparent protective effect of fruits and vegetables. There was no clear modification of the relation of fruit and vegetable consumption to risk of ischemic stroke by smoking, but current smokers may gain a slightly greater benefit from eating more fruits and vegetables than never or past smokers. These data support a protective effect of higher consumption of fruits and vegetables—in particular cruciferous and green leafy vegetables, citrus fruits, and citrus juice—against risk of ischemic stroke. Our results provide further support for the recommendation to consume at least 5 servings of fruits and vegetables a day.